You either love it or hate it I guess. Definitely in that first category. More and more I tend to dislike the usual chewed up/spat out run of the mill Hollywood fare that comes by in dozens. I mainly concentrate on European and Asian cinema. 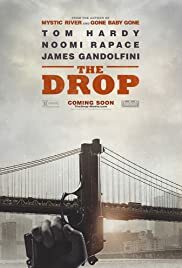 But every now and then America still shows signs of movie-greatness with beauty's like "Killing them softly", "The Counsellor" and now this crime drama that I think can most definitely be compared with those films. Old fashioned character- and story driven movie-making that hits you in the gut instead of computer driven video game making that only makes your gut grow from falling asleep on the couch. And characters it brings. 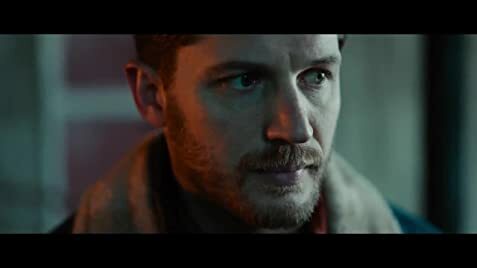 Enough has been said about the beautifully understated role by Tom Hardy, and James Gandolfini, whom I've always enjoyed watching perform, certainly leaves a big void with this being his last performance, man, will he be missed. Noomi Rapace is also noteworthy, but the scene-stealer for me is, again, Matthias Schoenaerts. A menacing, explosive and powerful presence and a very worthy, and deserved, international debut. And it may be purely coincidental (don't think so) but this great director, Belgian Michael Roskam, known for "Bullhead"(check it out, please) is a European. As is Ridley Scott and Andrew Dominik, while not European, sure as hell ain't from the states either. People making great American movies/stories with new flair and originality. Okay, so I might be overreacting a little, but I sure loved it and hope to see many more like it.